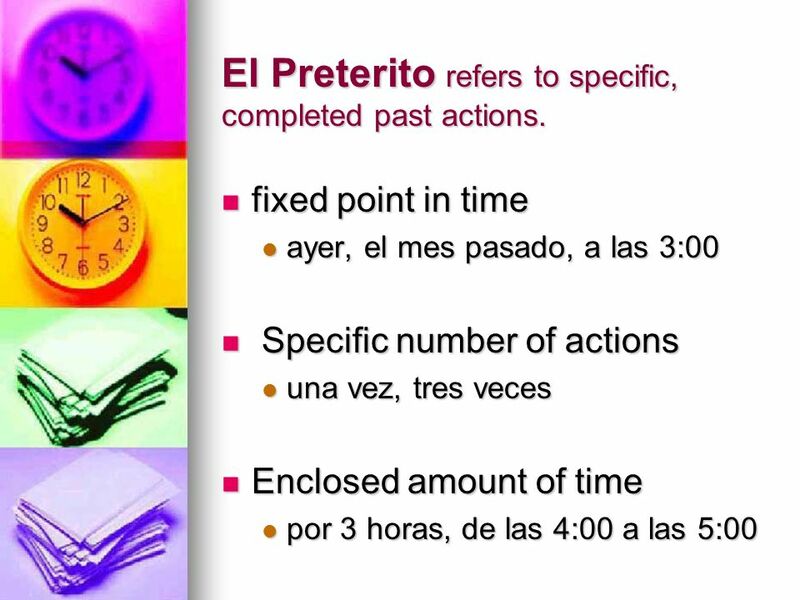 2 El Preterito refers to specific, completed past actions. 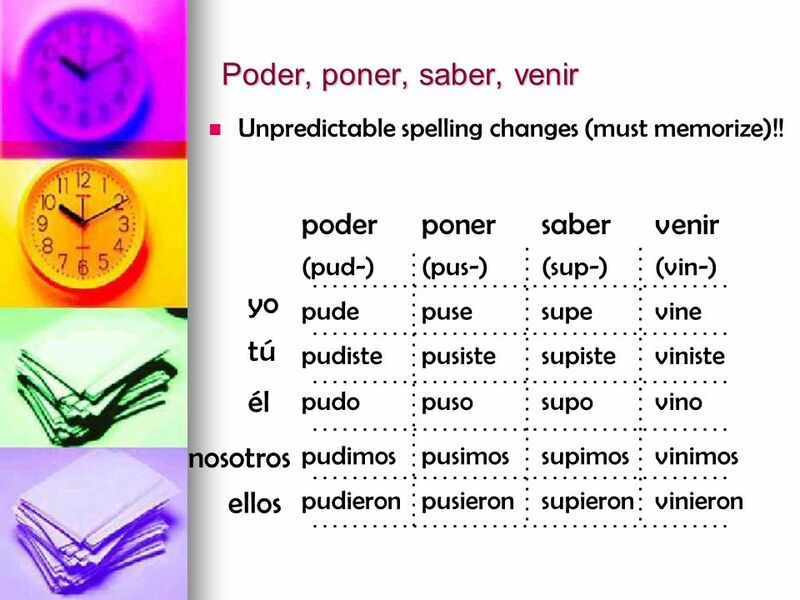 Spelling changes in stem that must be memorized. 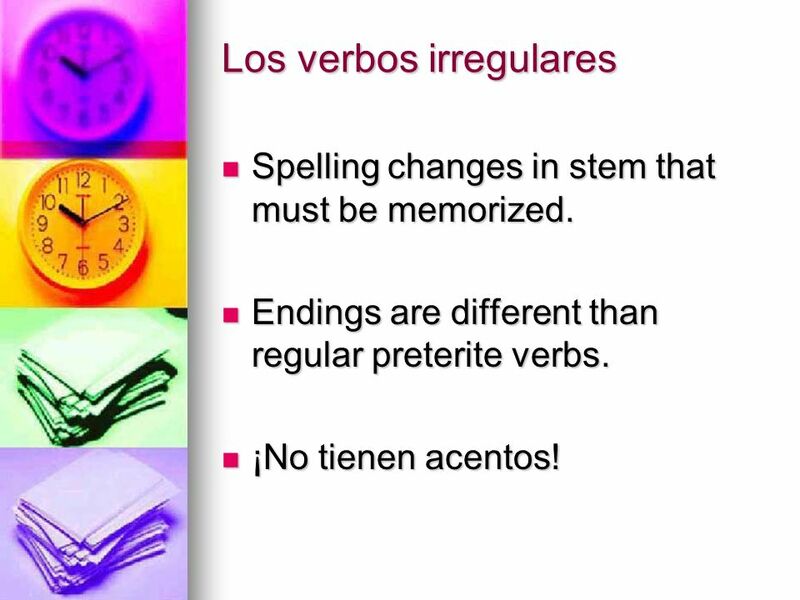 Endings are different than regular preterite verbs. 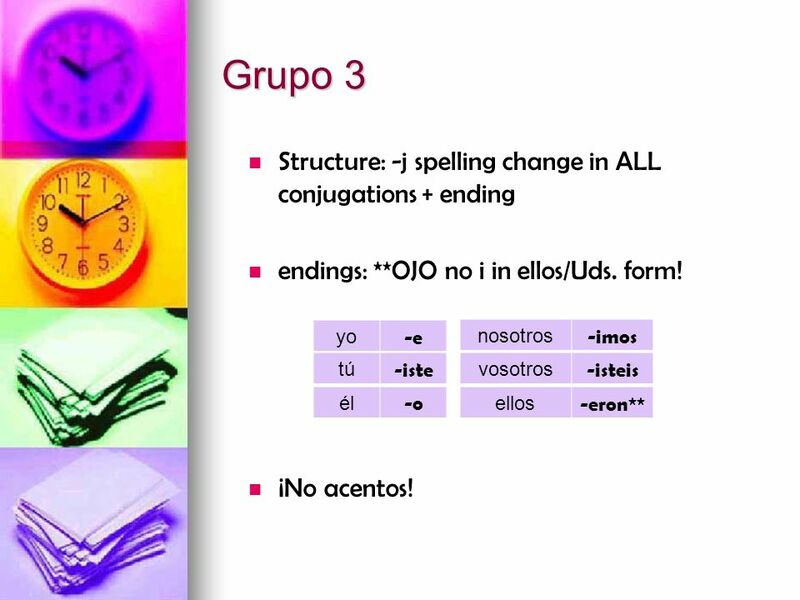 ¡No tienen acentos! 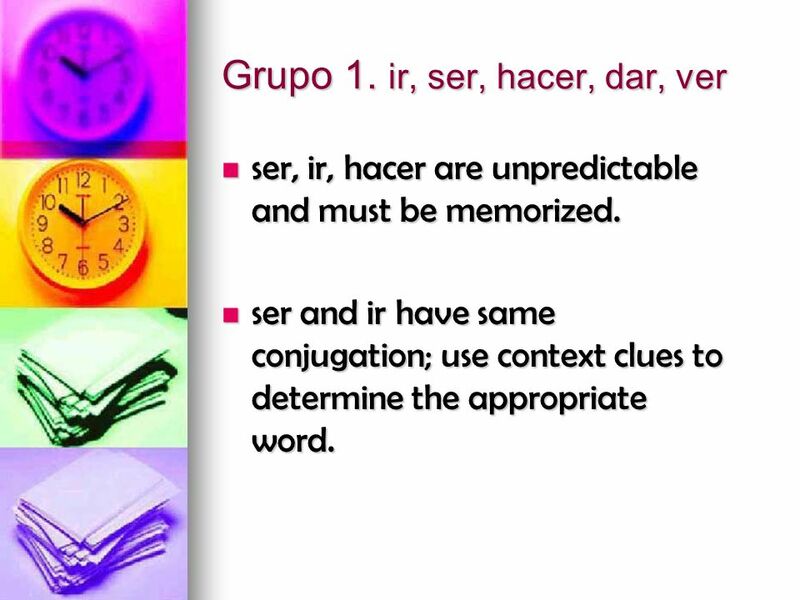 ser, ir, hacer are unpredictable and must be memorized. 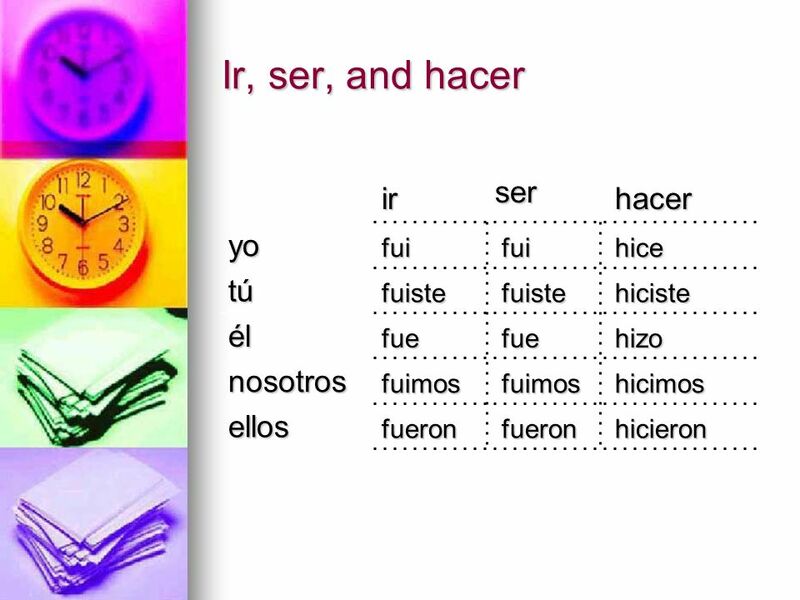 ser and ir have same conjugation; use context clues to determine the appropriate word. 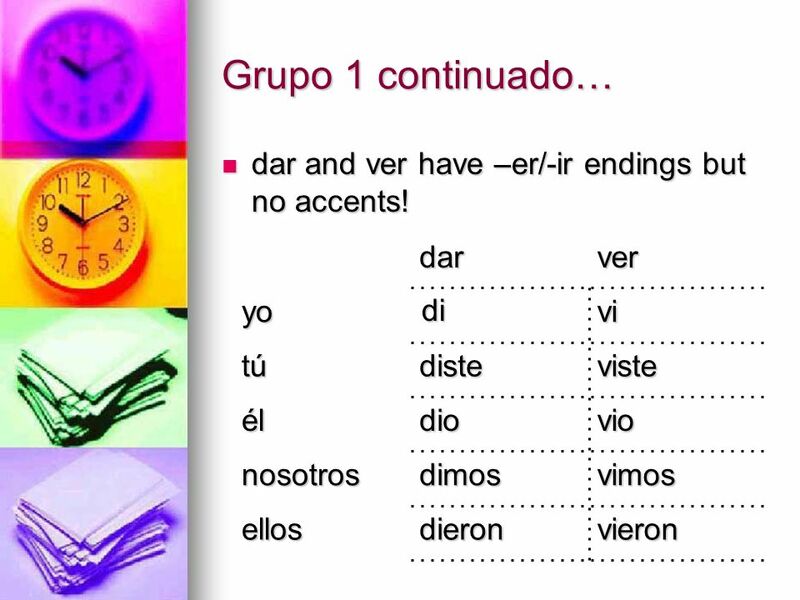 6 Grupo 1 continuado… dar and ver have –er/-ir endings but no accents! 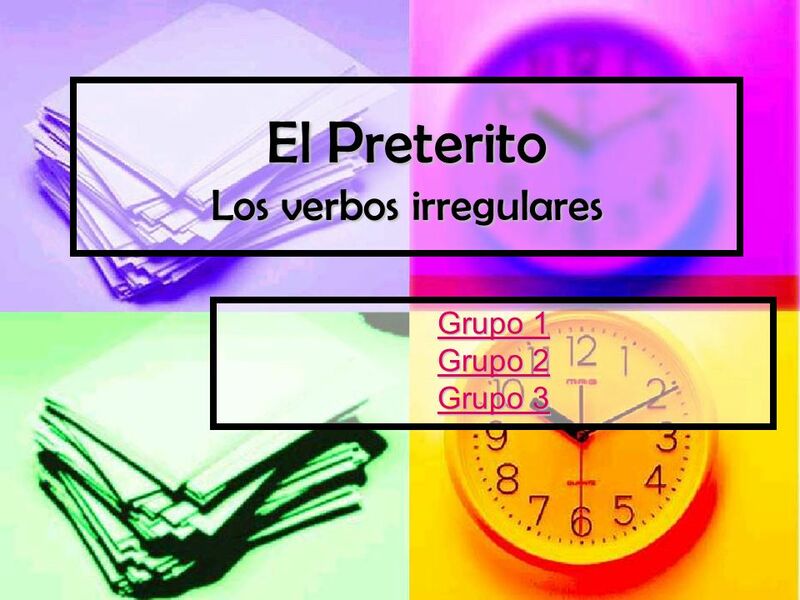 Descargar ppt "El Preterito Los verbos irregulares"
Forming regular verbs in the preterite. 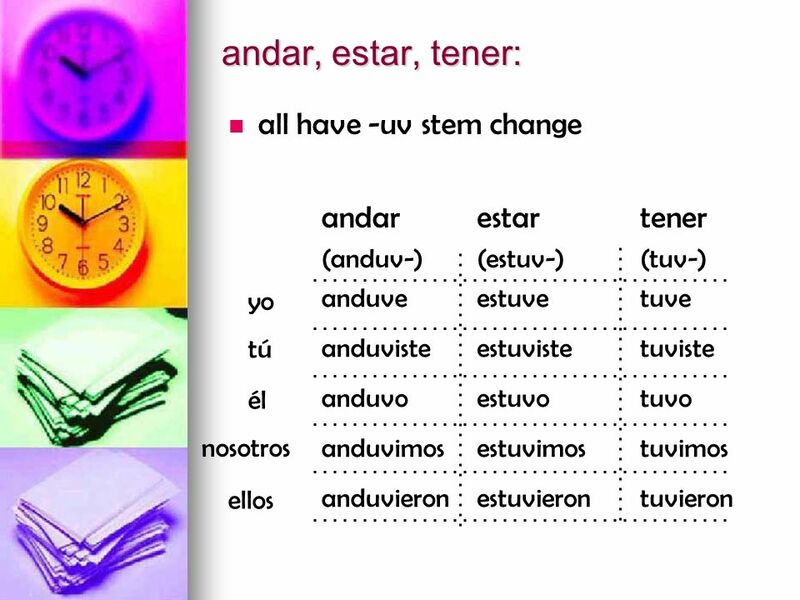 -ar verbs. 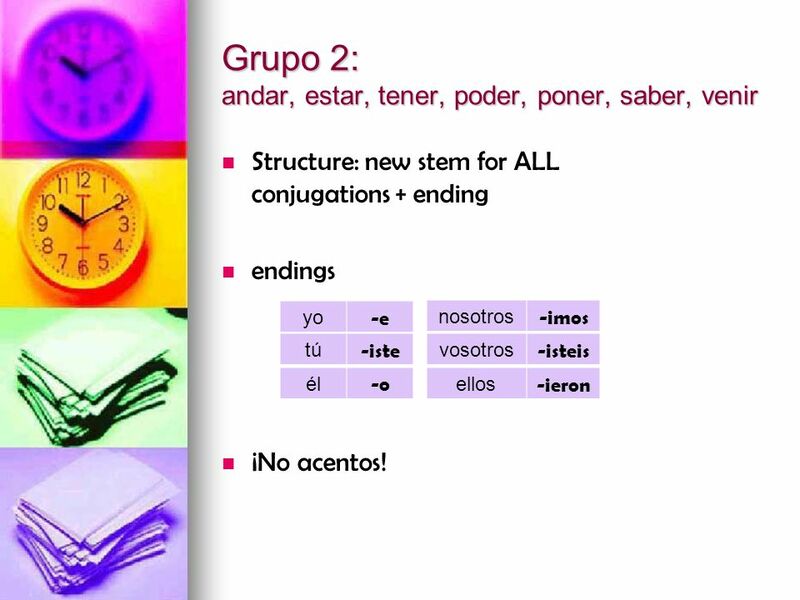 Drop the –ar and add the following endings -ar verbs. 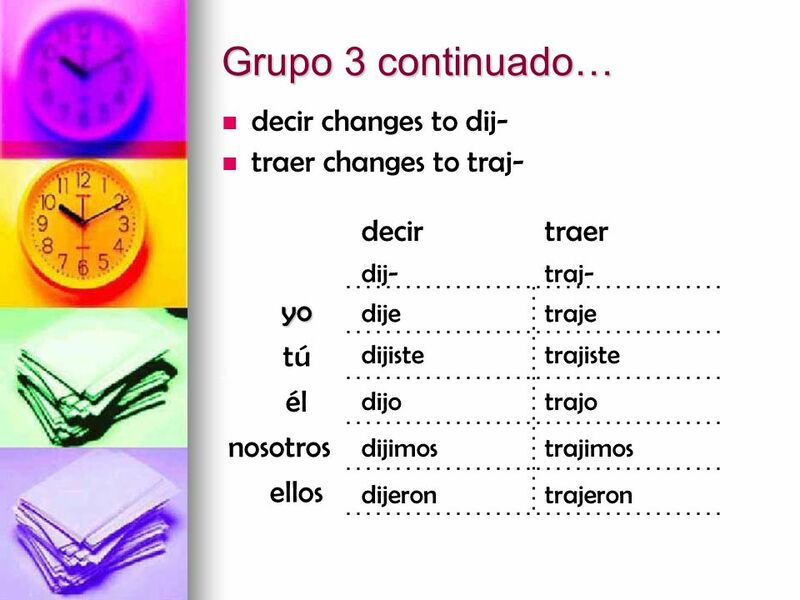 Drop the –ar and add the following endings hablar. El Pretérito Los Irregulares. 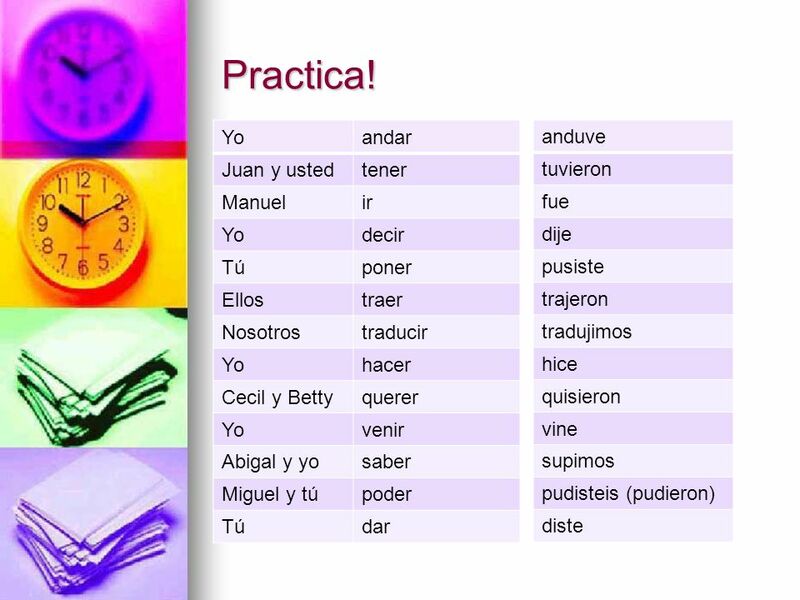 El Pretérito Irregular Verbs. 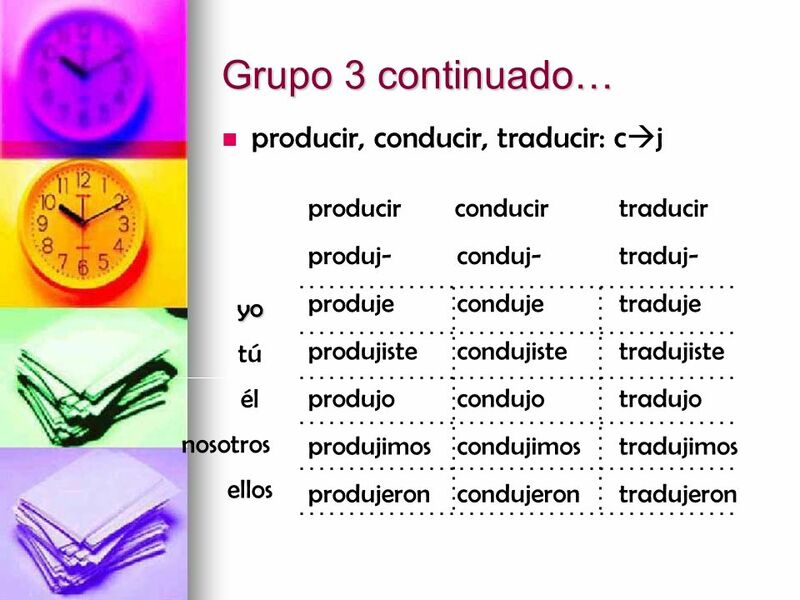 Hazlo Ahora Cambia el verbo al pretérito regular. 1. Los estudiantes (llegar) __________ a México. 2. Yo (comprar) __________ una película interesante.